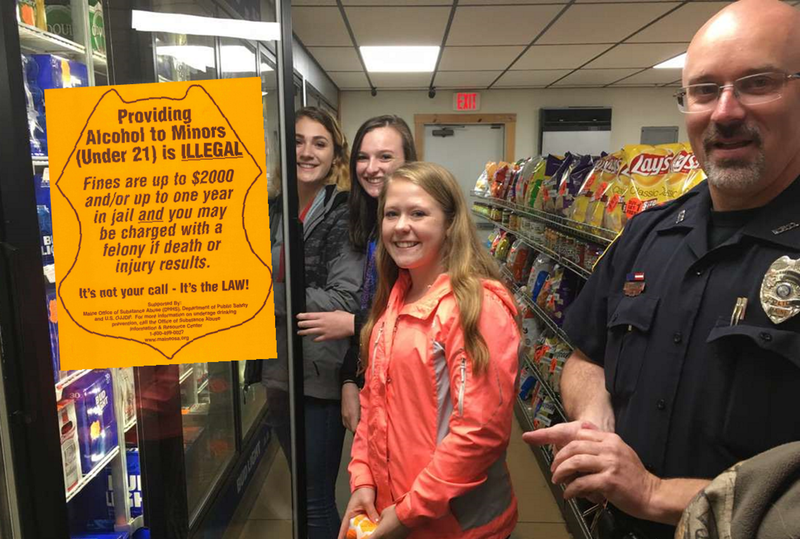 The Project Sticker Shock Campaign is a youth-led campaign designed to reach adults who might purchase alcohol legally and provide it to minors. Stickers warning about the penalties for furnishing alcohol to minors are placed on alcohol products that might appeal to underage drinkers. Area youth work in collaboration with local schools, youth-led organizations, law enforcement agencies, businesses, and Healthy Lincoln County. Read some local news coverage of a recent Sticker Shock Event. Upon completion, your business will receive a 3-year certification with Maine Department of Public Safety Liquor Licensing. Contact us to learn more about RBS training. We are available to work with you to review your existing workplace policies and/or help you develop policies to protect you and your employees. We can also connect you with resources and expertise to help you recognize impairment in the workplace, and develop strategies for preventing and responding to drug and alcohol related situations in the workplace. We are also on hand to provide your workplace with training and education on preventing drug and alcohol abuse. Contact us today to learn more.